Structurally, we don't need to do much to our little home. Little it is, and badly renovated, but we can easily live and love here. The stuff on our list is generally to do with storage or practical solutions for silly design flaws, or to fix something that has been neglected in our little house's life as a rental. Fun stuff - we have a list for that too! One little item on that list - I want a gorgeous clock. We're relying on the microwave clock in the living/kitchen area and it's just too tiny. We've got the perfect spot for a big, practical but lovely clock. We need something with all 12 numbers so the kids can also tell the time. Found here on etsy.com. 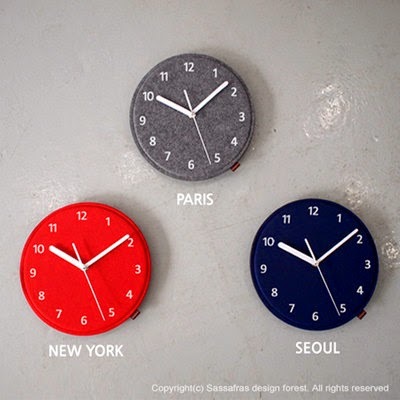 This is the clock I want! I haven't been able to find anything similar locally or even in Australia. Any ideas? Glad you are liking your new place! 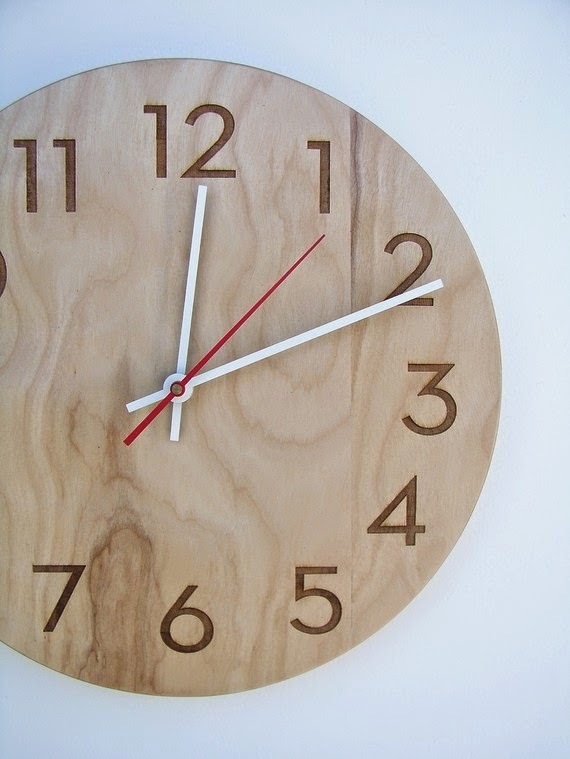 Why don't you get the wooden clock on Etsy! You only live once and life is too short to not have the clock you REALLY want !Go on - I DARE you !!! !